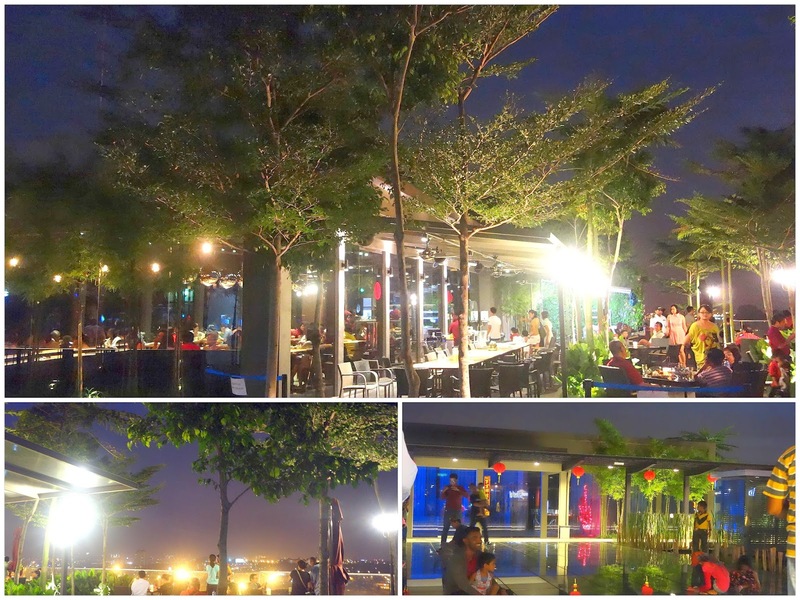 Only four or five restaurants are open so far at the One City Skypark 10th-floor rooftop, so hungry customers have few options, making Khrua Thai a venue that can get crowded as the evening progresses. 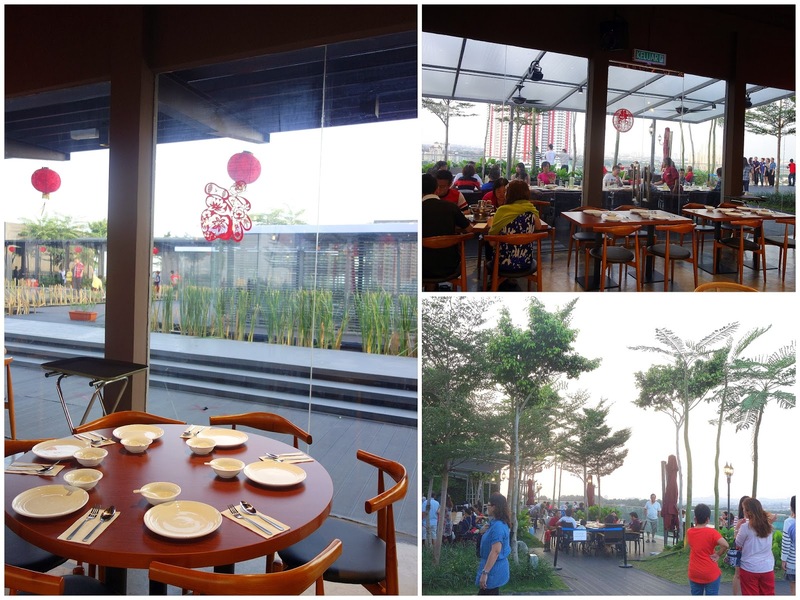 Folks mostly head to this rooftop to take in the view; some stay on to eat, but others might be wary of the higher prices here. Steamed mixed seafood in foil (RM28 before taxes). 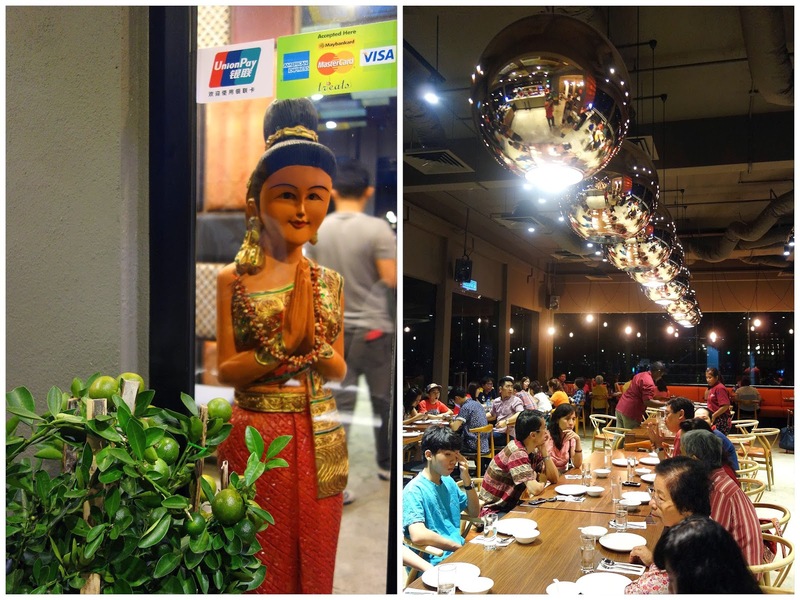 The food's OK, though portions are certainly not generous, so customers might need to either spend at least RM40 per person or risk leaving a bit peckish. Deep-fried soft-shell crab. RM48 before taxes for three flat ones? Not cool, though to be fair, the illustrated menu did indicate that there would only be three pieces of crab served. Salted egg yolk squid (RM30). Lots of squid recipes on the menu, from butter-fried to curry to steamed with lemon, tom yam to kam heong. For better or worse, the menu extends beyond being purely Thai. Stir-fried chicken with cashew nuts (RM20), a dish that leaves no lingering impression here. Stir-fried paku-pakis with garlic (RM18). Capably prepared is probably the easy description for this. Note: Patience will be a virtue if the kitchen finds itself swamped. During this restaurant's early weeks, customers sometimes had to wait more than an hour for their food, but the situation has likely improved since then (we hope). Click here for online reservations. 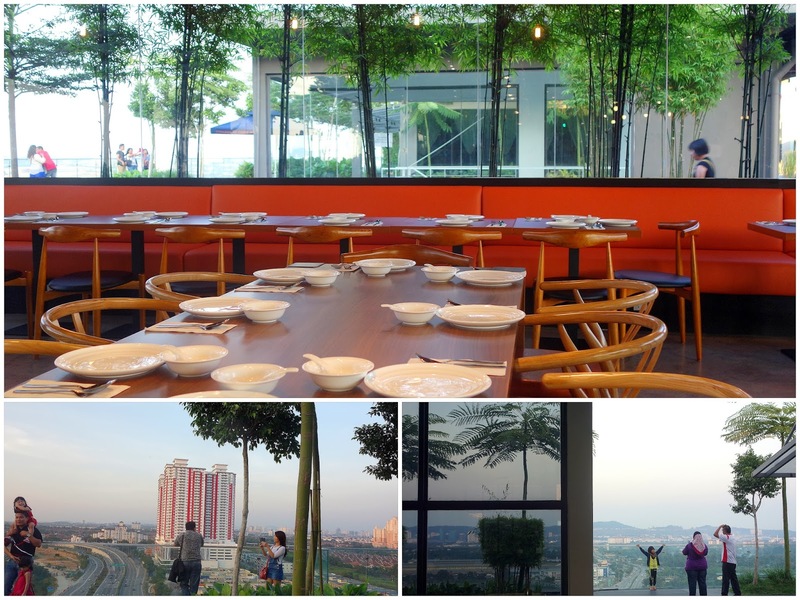 This restaurant is available for bookings under TABLEAPP, which enables customers to make instant reservations at Malaysia's top restaurants, while saving time and money in the process. Reserve your table at this restaurant by clicking here. Stay up to date: The Eat Drink KL newsletter is sent by email to subscribers every Monday; it's the Klang Valley's foremost weekly round-up of new restaurant openings (even before they're featured on this blog), F&B promotions & other tasty tidbits. Note to subscribers on Gmail: The newsletter will be in the Promotions folder of your inbox. As a separate initiative, the latest edition of Eat Drink KL: 100 Favorites for January-March 2014 is now online, featuring 100 pretty nice eateries, including more than 20 new entries for this quarter. This eBook of restaurant recommendations is available for free, convenient reading on computers, tablets & smartphones at this link: http://eatdrinkkl.publ.com/Eat-Drink-KL-100-Favorites-Jan-March-2014 (This link expires March 31, 2014; see blog entries after that date for new link). I love Thai and yes, we had one here - we went when it first opened and it was disastrous! Never went back again. I really like the bright and friendly decor. Ya soft shell crab is always expensive - had a pizza once with only one crab and it costs rm15! Been at the sky park only for the view! LOL ! But had visited most of the eating outlets at ground level. Extremely rude owner n waiters. I ordered a dessert n my two friends ordered their set meals. I could not even nibble on my cut fruits (just grapes to be exact) and ordered me again to close my container lid.